Have a holiday hug or ten. 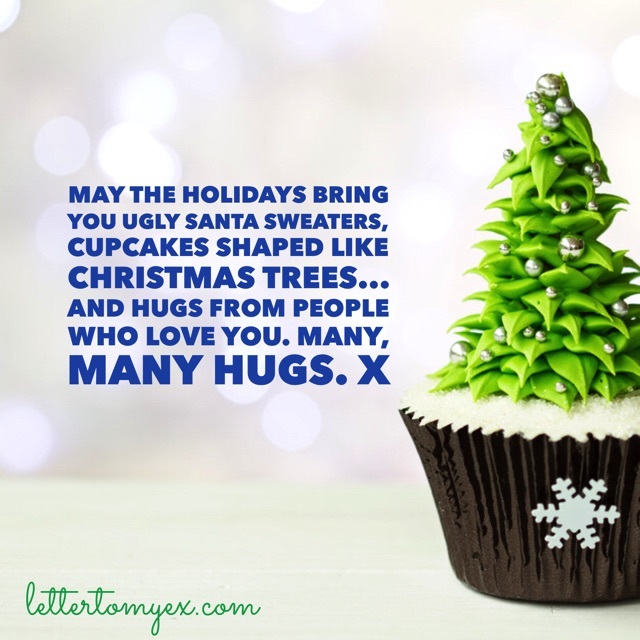 Letter To My Ex > Letters > blog > Have a holiday hug or ten. By the way, feel free to send me pics of your ugly Santa sweaters. I’m serious.